A realistic, fast-paced reimagining of the Sleeping Beauty fairytale full of royalty, romance, and danger. 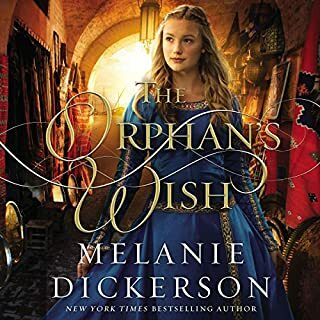 This masterful combination of love and heartbreak - combined with the novel’s surprise ending - is everything fans of fantasy, historical, and medieval fiction yearn for. Rose has been appointed as a healer’s apprentice at Hagenheim Castle, a rare opportunity for a woodcutter’s daughter like her. While she often feels uneasy at the sight of blood, Rose is determined to prove herself capable. Failure will mean returning home to marry the aging bachelor her mother has chosen for her - a bloated, disgusting merchant who makes Rose feel ill. When Lord Hamlin, the future duke, is injured, it is Rose who must tend to him. As she works to heal his wound, she begins to understand emotions she’s never felt before and wonders if he feels the same. 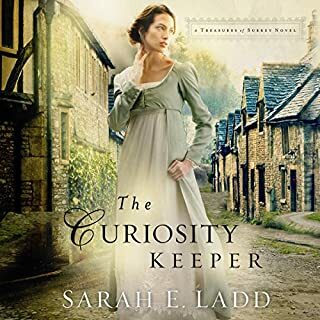 But falling in love is forbidden, as Lord Hamlin is betrothed to a mysterious young woman in hiding. As Rose’s life spins toward confusion, she must take the first steps on a journey to discover her own destiny. 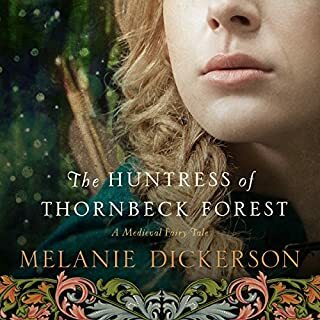 Melanie Dickerson takes the "fairy" out of fairytale. The classic love story is reinvented using the Christian/Catholic myths. Instead of good fairies you have the power of faith in Jesus and God and instead of a wicked fairy cruising the sleeping beauty's family you have a pagan follower bent on inflicting demonic possession. While it was an interesting take, it wasn't really what I was looking for. While it was interesting enough to finish this book, I will not continue to read Ms. Dickerson's works. The narrator was not as enjoyable to listen to as others I've experienced. She spends the first part of the book speaking too fast and has no variation in her character's voices. It was hard to tell who was speaking at any given point in time. This could be forgiven if she imparted some emotion into her delivery, but overall everyone always sounded only mildly interested in what was going on around them. Summary: Good book for the right audience, but you'll have to deal with some pretty shoddy narration. 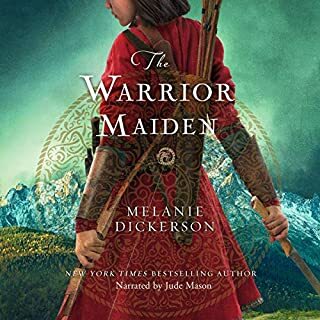 I read this book, and all the books in the series, and I loved them all; I have loved reading each and every one of Melanie Dickerson's books, in each series. However, I was very disappointed by the narrator. Her voice itself was okay in general, but she used almost no different voices or tones to differentiate between characters. Switching voices for each character is kind of the point of narration, in my opinion. Not to be mean or disrespectful to Jude Mason, but I wish they had maybe used someone like Cassandra Campbell or Julia Whelan, both of whom do an amazing job at giving each character a unique voice. Struggled to listen to this story, ugh. I feel like I was ripped off. Going to take the rest of the series out of my wish list. I absolutely loved this book. It was so cute and exciting and very interesting. Definitely recommend this! I couldn't stop listening to it. this author has more passion and tension in the desire to hold a hand than most romance authors have in their entire books. Listened to this with my 14 year old daughter. We both loved it! Can't wait for the next book! 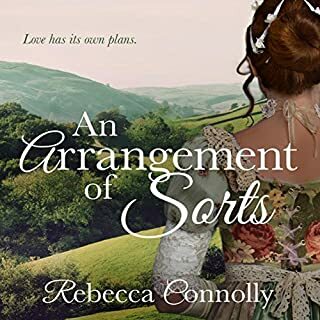 A delightful read for those who desire a simple plot and swoon worthy romance. These factors is what delighted me to read and pushed me forward to unravel Rose and Wilhelm's story. The lack of the protagonist (Rose) displayed as a heroine. I felt Rise had the guts to step forward and do some saving herself, but she was laid waste as a damsel in distress. There was also a lack of the protagonist's involvement in the main conflict with Montcore. I felt that she should have been an active role in finding him. There should have been more plot twists, rather than predictability. The villain should have had more appearances/buildup, than he had. Which made the conclusion of the conflict a bit lackluster. Although this book was a bit lackluster in areas, I still found myself enjoying it, and binge listening! This was another good story. I did not give it 5 stars only because I read the merchants daughter first. I felt that the love between the two characters developed more organically in the merchants daughter. In this one Rose was just in love over like 1 conversation. She was always crying, or sick, or being accosted. It was a bit much. But good overall. I really enjoyed this book and its narrator. 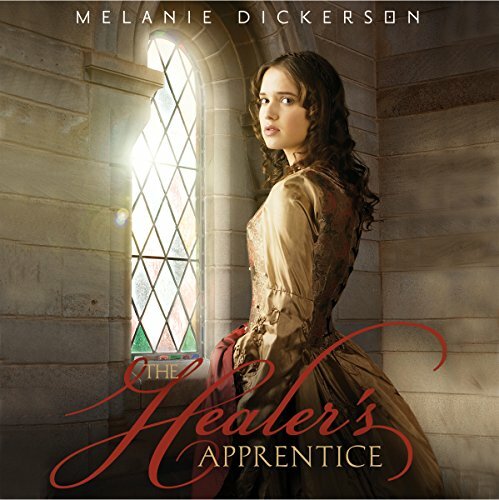 This is the fourth book by Melanie Dickerson that I have listened to and would strongly recommend her as an author. Jude Mason did a wonderful job of telling the story.